A resident assistant is someone we can trust. They are trained peer leaders and they ensure that a group of college students living in the same dorm, house, or other living facility are safe and sound. 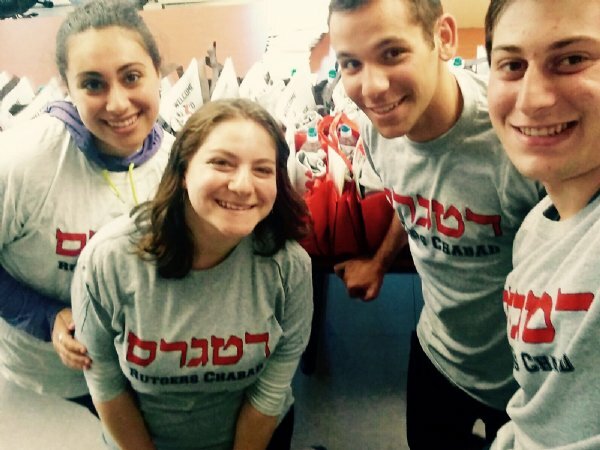 Chabad at Rutgers University has their own set of resident assistant, all of whom are students that volunteer for the position. Most of them had lived in Chabad at Rutgers for a number of years and are ready to lead younger peers in both their Judaism and in their college endeavors. This past Thursday one of the Chabad RA’s Micah Leibowitz agreed to be interviewed on his position. Question 1: Why did you want to become an RA? Micah: I really enjoy helping out the younger students on campus because I know that when I first came to Chabad and to Rutgers University I received a lot of help from upper classmen. I wanted to give back in some way, so being an RA was an ideal way for me to give back to the community. Also I lived in Chabad since I was a freshman, so I felt that I would be able to understand what the responsibilities of an RA very well. Question 2: What type of training did you have to go to become an RA? Micah: Well first of all, we had to pass an application process and a competitive interview process. Then, once the RAs were selected, we had to go through a series of training sessions. We learned how to deal with conflict and safety precautions. In those, we learned a lot of safety precautions. For example, I learned all about the different fire escapes in Chabad, and I also learned how to lock and unlock different rooms in case of emergencies. We also attended some Rutgers University diversity training sessions as well, where we learned how to work with people from different backgrounds. Question 3: What are some of your responsibilities as an RA? Micah: Basically, I’m in charge of making sure that everyone is okay. I have about 40 guys on my floor. Almost everyone gets along, so I don’t really worry about handling conflict a lot. However, if someone has a question about Rutgers or about Chabad I’m always ready to I step in and help. Sometimes I help with things that don’t happen every day. For example, on move-in day this semester I helped the parents carry their children’s belongings into the dorms. I also will be planning a ski trip and a paintball trip for the residents here. It’s going to be a ton of fun. Question 4: Any advice to Rutgers University students living at Chabad? Micah: Definitely. Make sure you enjoy both your Jewish life and your Rutgers University life. And remember, the two aren’t necessarily mutually exclusive. Micah will continue to be one of Chabad’s RAs for the rest of 2016 to 2017 school year. He is very excited about the future events at Chabad, and is excited to watch as the boys on his floor form closer and closer bonds. For more information on living at Chabad House, please contact the office at (732) 296-1800 or via email info@chabadnj.org. Stay up to date the latest news and events on our websites at www.chabadrutgers.com, www.chabadnj.org.